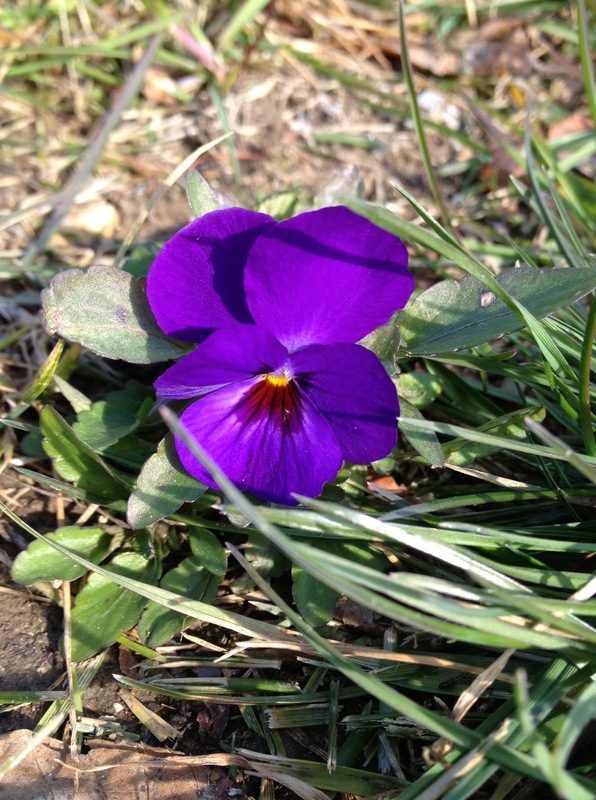 Viola blooming in the winter lawn. On a spring-like December day, when the high temperature was 63F, you can't blame a gardener for chucking all other plans - plans for Christmas shopping, tree decorating, caroling, wassailing, egg nogging, decking the halls, addressing Christmas cards and writing her letter to Santa Claus and the Christmas Cottontail - so she could head out to the garden for some bonus gardening time. After all, when Mother Nature presents us with a spring-like December day when she could present us with day that is quite wintry, it seems impolite and ungrateful not to go out to the garden for some extra gardening time. 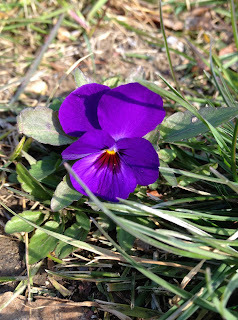 I went out to my garden and found a viola blooming in the lawn. I love to see these little flowers in my lawn and have some plans to try to get more of them to naturalize in the lawn next year. Stay tuned. 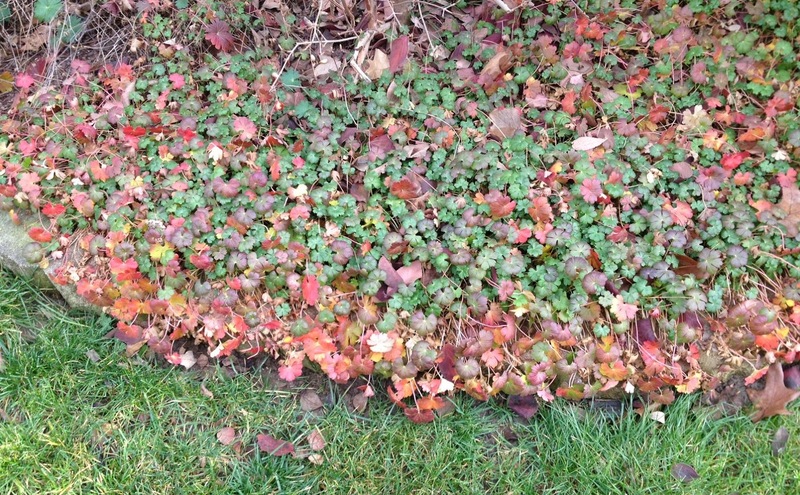 I was reminded that this is the early Christmas season when I saw the red and green of this geranium foliage. I think these geraniums add more color to the garden in the late fall then they do when they are in full bloom in late spring. Feel free to disagree. Out in the backyard, I noticed how convenient it is for this rogue plant to still have green leaves on it. 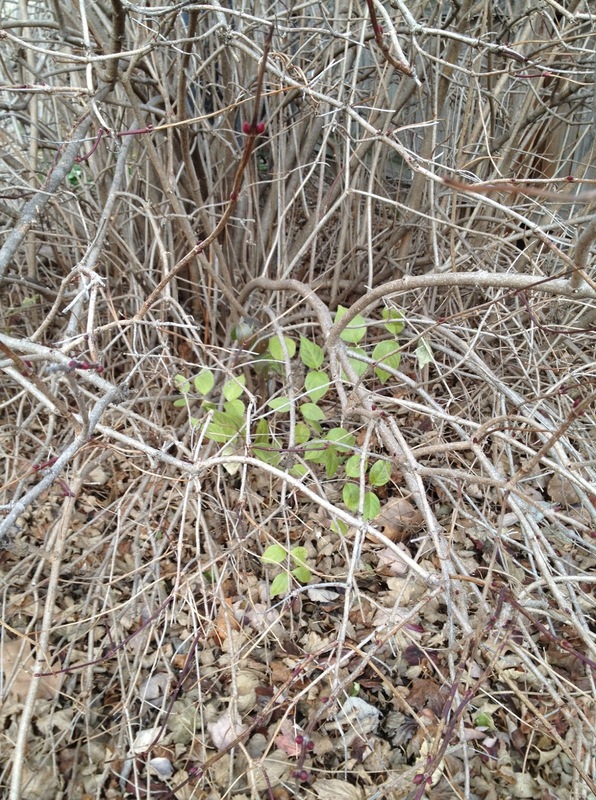 This makes it much easier to find this invasive interloper and cut it out. You might be wondering if I cut this freeloading, fertilizer sucking shrub seedling out right after I took this picture. Sadly, no. I didn't. I'm not sure why not. But I will cut it out before the week is over. I promise. 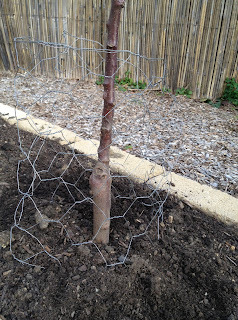 Out in the Vegetable Garden Cathedral, I put some chicken-wire fencing around the newly planted dwarf apple trees to keep the rabbits from gnawing on them this winter. Rabbits - Do not eat the bark on the trees. I have no idea of this fencing will keep hungry rabbits away from these trees. I'll have to watch closely especially if we get some actual winter. If I find there are any teeth marks on these trunks, I'll take swift action. On a spring-like December day, I also did some more weeding. The weeding never ends. I don't ever expect it to end. 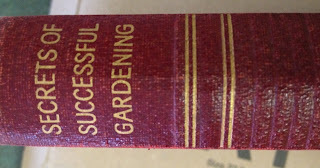 If you know how to put an end to weeding once and for all, you could make a lot of money selling your method to people like me who feel like they are constantly weeding, or if not constantly weeding at least staring at the weeds wondering why there are so many of them. Or maybe the answer is in my new-to-me book? There's only one way to find out. 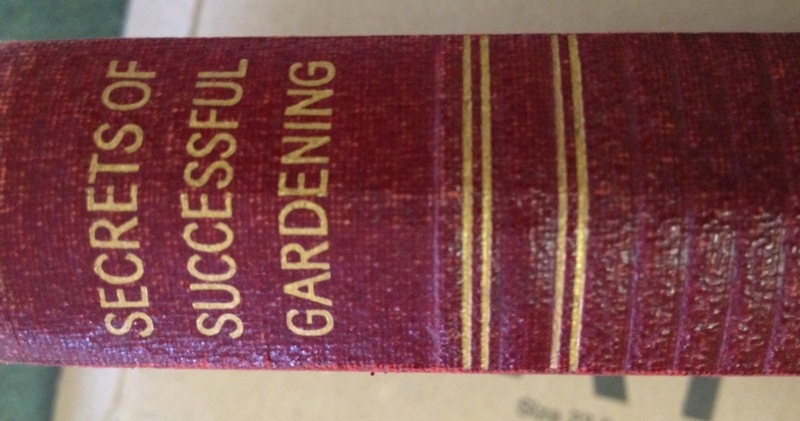 If winter ever arrives, and there are no more spring-like December days calling me out to the garden, I'll have some time to read through this book and see what secrets it reveals... maybe secrets about weeds. Don't forget to celebrate all things fertilizer on International Fertilizer Day - 12-12-12. It only comes along once every 100 years. I had my own spring-like December day yesterday....and I cleaned the front beds like spring was tomorrow and winter was behind. Maybe no winter this year, but I'll still hope for spring. I was lovin' it too and changed my plans for Christmas doing stuff, too! Got leaves chopped with the wood chipper and then put into my raised vegetable beds and attacked the invasive grass I ignorantly planted 3 years ago, which survives multiple applications of weed/grass killer. 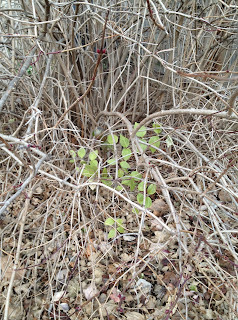 I see the honeysuckle still green all over our woods and wonder when I'll ever have time to dig it all out. Working in small batches doesn't seem to make a dent. What ever will you do today (Monday) when the temp reaches 70*, I wonder? Must go check to see if some of those sweet little violas have come in my yard. We've had these spring-like days, too, and I keep thinking I should finish up some garden chores, but I've been stringing up Christmas lights outside instead. 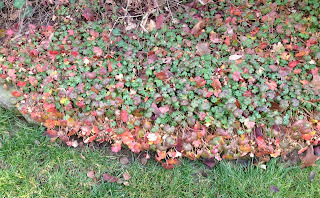 If you find out a secret to cut down on weeding, I hope you'll share it--that would be the best Christmas present ever! Our temperatures have been 15 to 18 degrees above normal and I am NOT HAPPY. It's going to be one of those non-winters here, I fear. Did I say that I am NOT HAPPY???!!! I need to put the chicken wire much higher because our snow drifts up to a yard high and the ****** bunnies can reach very high! I also put those ugly white tree coils on my young trees to keep mice from nibbling at their bases. My rabbits even munch on roses... Just sayin'. Hope all goes well for both of us! I'm enjoying today with its surprise sunshine and 47 degrees (F). Hope you are too! We are having a spring-like day in Boston today too (57 degrees, sunny and little wind). I was lured into the garden too, first to measure a bed I want to rework over the winter, then to cut back some straggly perennial foliage. I discovered some treasures too: another iris bud about to open and some tiny leaves buried under all the dead silver mound foliage. I was cheered to see buds on the lilacs and magnolia. What small, precious delights.